Ro Bailey is an Experienced Civil Marriage Celebrant in Melbourne. A professional civil marriage celebrant is available in Melbourne. 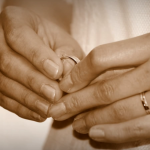 Ro handles all the legal aspects, complying with the Marriage Act 1961. Ro has been a celebrant for over 10 years and has officiated at many ceremonies. She has received only positive feedback – see examples in the comments section of this web site. You can book her with confidence for your special day. For more information see Wedding celebrants in Richmond. Read more about renewal of vows in Melbourne and working with a civil celebrant in Melbourne.